Former World number one Novak Djokovic experienced a shocking loss to Martin Klizan in Barcelona. Klizan; who ranks 140th in the world beat the world n0.12 6-2 1-6 6-3. Since Wimbledon in 2017, Djokovic has suffered an elbow injury which has contributed to his failure in reaching the last eight for the past five tournaments. 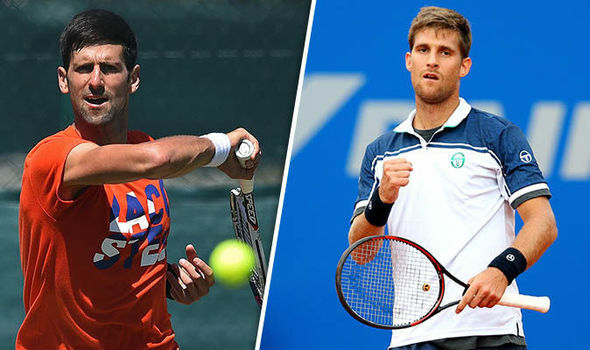 It must be an overwhelming feeling for Klizan to win against a legend such as Djokovic. He will definitely be in the spotlight as of now and hopefully improve his ranking. This means that we will not be seeing any action from world number one Rafael Nadal and Djokovic in the quarterfinals. Klizan had never beaten Djokovic in the four previous playoffs against him but this time he came prepared. He broke against Djokovic in the very first game and getting the first victory in the opening set with 6-2. Djokovic came with a strong rebound in the second round with 6-1 and was seven points away from a tie at one set apiece and stayed on the serve with Klizan for the first seven games of the third set. Klizan, however, had a stronger comeback in the decider with a 5-3 and held the serve to close out Djokovic after a long 1 hour and 39 minutes with 6-2 1-6 6-3. Klizan had to stay away from nine major tournaments last year after a calf injury and has been trying to get his way back up to the top. He is also in a better position to understand Djokovic and why he might not be performing as well as he should.